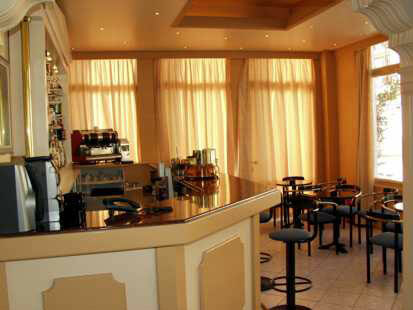 Address : 1 Pavlou & Friderikis Str. 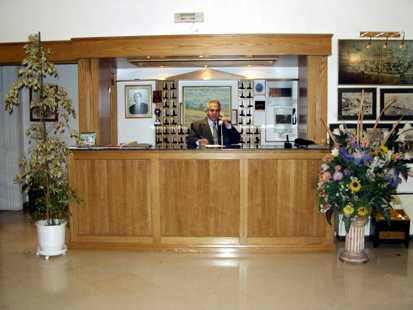 On entering the Town of Delphi, the renowned family Hotel Vouzas is located within walking distance from the Museum and the classical sites, some of the oldest ruins in Greece. Vouzas, is a newly renovated Hotel with high standards of service and magnificent views across the olive groves in the valley below which stretches as far as the blue waters of the bay of Itea. Perched on a rocky ravine of Mt. Parnassos 1800ft. 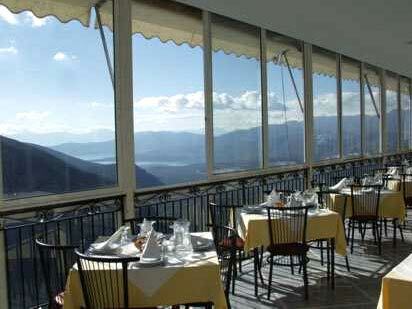 above sea level, the Hotel is an excellent base for trips to the Parnassos Ski Center only 30 minutes away and daily excursions to many picturesque Villages, scattered around Delphi. 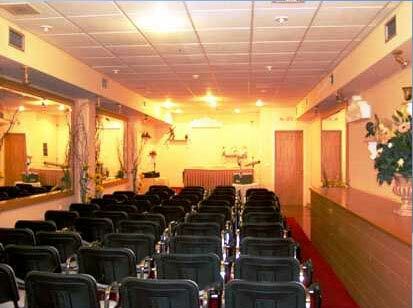 The Hotel consists of 60 lavishly furnished Rooms ( Singles, Doubles & Triples ). 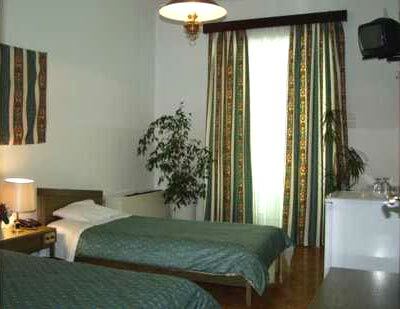 All the Rooms have their own Private Bath, Radio, Telephone, Color TV, Air Conditioning / Heating and most of them command a spectacular View. The Singles are without View and have Shower, the Twins for Single Use are with View and a Bathtub. 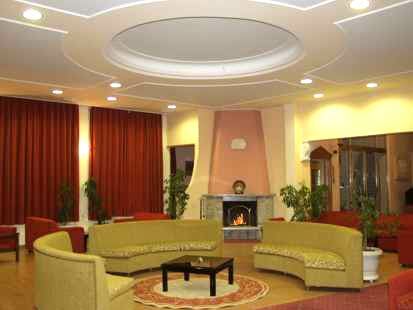 The comfortable Lounge with Fireplace, friendly Bars as well as the Roof Garden add to the pleasant stay of our guests. Warm hospitality greets you at the Restaurant and the spacious Veranda with Panoramic View, all year round, serving delicious Greek and International dishes. 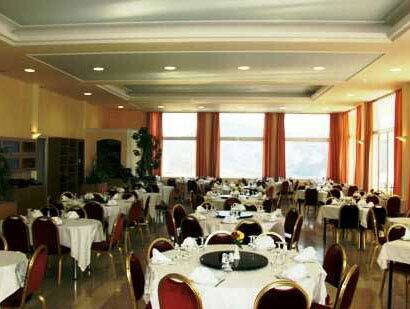 The quietly elegant Hotel being near to one of the most prestigious Convention Centers in Greece, has the facilities to accommodate Conferences and Seminars.